When we envision our favorite leading ladies — think: Marilyn Monroe, Rita Hayworth, Rihanna — we most likely picture them in their shining, red-lip-lacquered moments of glory. 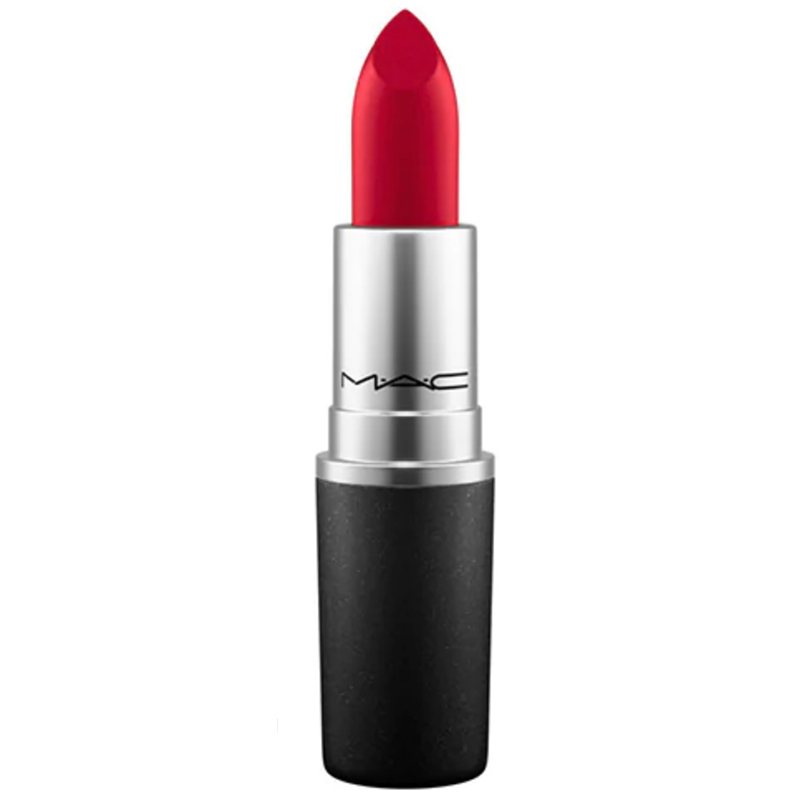 Red is striking, and has been a quintessential lip color for as long as we can remember. We’d be wiling to bet good money that many of you can recall your grandmothers need for perfectly applied lipstick before ever leaving the house. There’s something magic about the addition of a brightly-hued lip color that makes a woman feel empowered, slightly daring, and polished. There’s a red for every occasion. No two shades are the same, and everyone has a favorite, which makes selecting the right red for you so much more than a one-and-done process. There’s finish and undertone and application to consider. These are important decisions, people! To weigh in on the subject, we’ve called on our editors to give you a breakdown on their go-to hues. Read about their favorites shades below, and don’t be afraid to sound off in the comments. We’re eager to hear what you’ve been wearing, too. “I once had a friend in college vow to never wear red lipstick. My immediate reaction was to write her off as mildly strange — compartmentalize her into the group of ‘acquaintances’ I’d politely wave to on the campus lawn, but never fully associate with. Red lips were — and continue to be — a go-to fail-safe in my very limited rotation of everyday make-up looks. Whether I prefer to err on the side of classic or bold, a ruby pout does the trick every single time. Before I could say much more, my new companion (and now soon-to-be bridesmaid) explained that she once witnessed the tragic application of red lipstick on a face that too eerily resembled her own, leaving the poor girl looking nothing short of a circus clown. Needless to say, she was scarred by the entire ordeal, and because of it, lived the majority of her adult life laden with the idea that red lipstick simply wasn’t for her. She also developed a slight fear of clowns. "I wish I could recount the number of tubes I've gone through of MAC's Ruby Woo. It's an absolute favorite blue-red, matte formula that looks good on so many different complexions. Without fail, each time I wear this, someone asks what's on my lips." "There's little I love more than an orangey-red lipstick, and when I say this one is the perfect shade of orangey-red, I mean it. I'm also a sucker for a matte, liquid formula. It isn't a stay-all-day type of shade, but the color payoff makes it worth it." "Although Relentlessly Red leans more pink, it's my ideal hue when I want to make a statement: bright, bold, and eye-catching!" 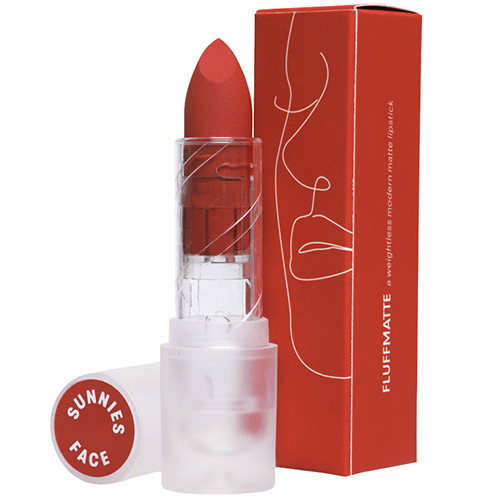 "Martine Ho, Founder of Sunnies Face, kindly sent our office a sampling of her new lipsticks. I am hooked on Hot Sauce! It's the perfect orangey-red and the formula is flawless. 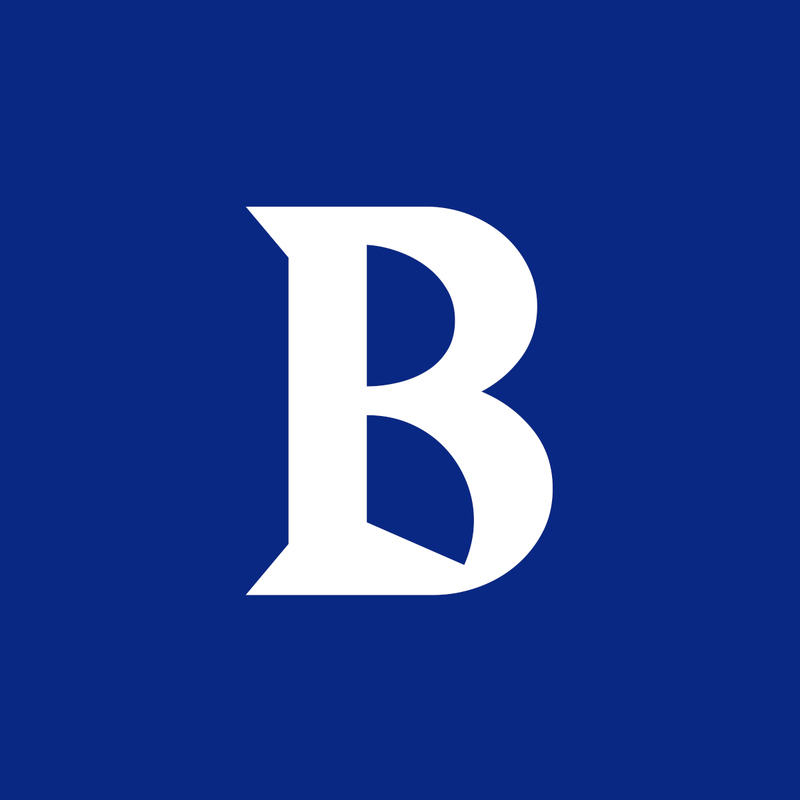 The brand hopes to be available in the States later this year." "For days when I only want a hint of color, I reach for this subtle, sheer red tint. Its Vaseline-like consistency is my jam. The smell, however, took some getting used to — a hybrid of cherry Laffy Taffy and cough syrup — but, I've come to love it. " "A rich, matte, powder formula that gives your lips that imperfect, I-just-made-out look in an unparalleled shade of ruby red. " “I fancy myself a red lipstick aficionado and I’ve searched the green beauty market up and down for the best reds out there. If you aren’t on the red lipstick bandwagon yet, can I persuade you to give it a chance? 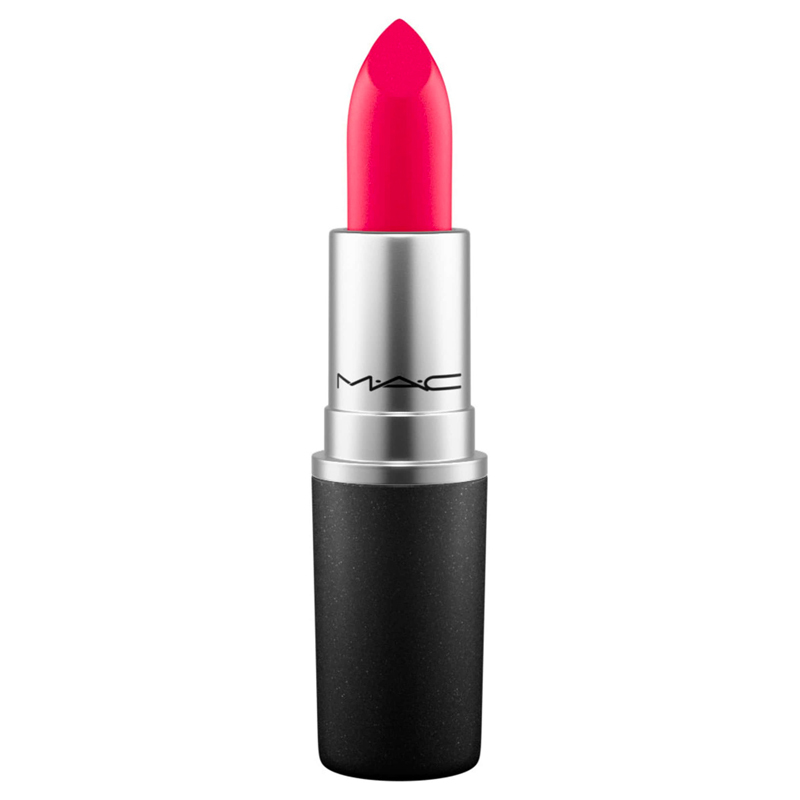 A vibrant, beautiful red lipstick can absolutely transform a face. Yes, it’s an attention-grabber. Yes, it takes confidence. Still unsure? Here are five reasons to make it happen. Wearing red lipstick is a classic look that’s been around for decades. Think Marilyn Monroe, Elizabeth Taylor, Coco Chanel. It makes you look younger. Oh, I know some of you are going to balk at that statement, but it has been scientifically proven that what people find youthful in a face is the contrast of features. (Dark lashes/eyebrows, deep lips.) As we age, those features become noticeably paler and we begin to look more washed out. When you wear a red/bold lipstick, you create that contrast again. It increases feelings of self-worth. Vain? Maybe, but when you take the time to care for yourself, it makes a lasting impact psychologically. "This is my #1 red lipstick pick. 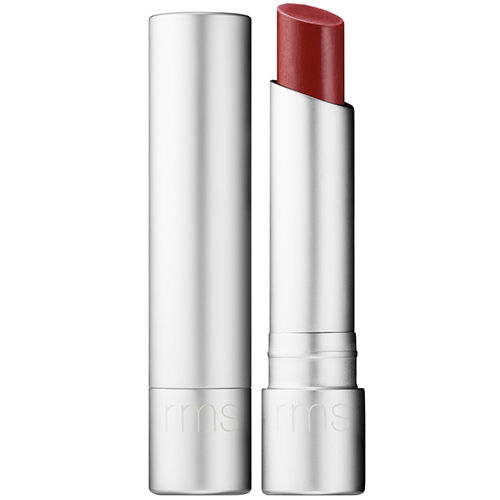 A matte, classic neutral red that looks fantastic on a variety of complexions. This particular formula is activated by the warmth of your lips, so you have to work it into the lips, but once you do, it stays put all day. The finish is velvety smooth and matte, but doesn’t dry out your lips in the slightest." "So intense, this one. 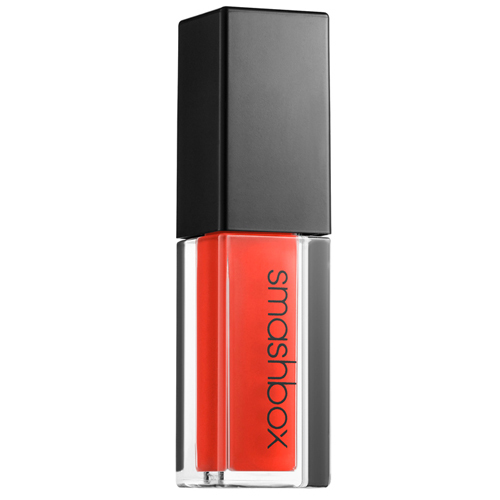 A fiery, warm-toned red, this shade is ultra-hydrating with a full color payoff. 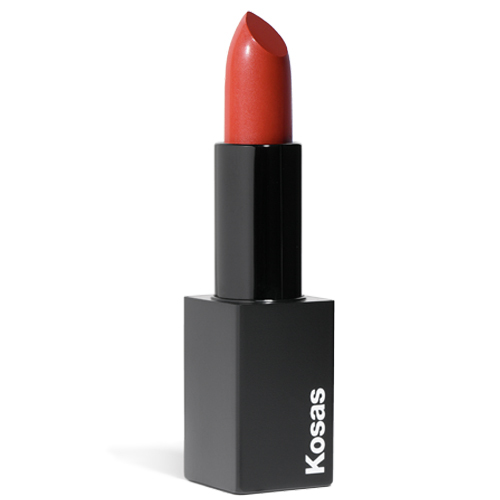 The formula has a velvety finish just like the rest of the Kosas line, which I adore with the burning passion of 1,000 suns." "Looking for a deep berry red? This shade is just gorgeous on the lips. 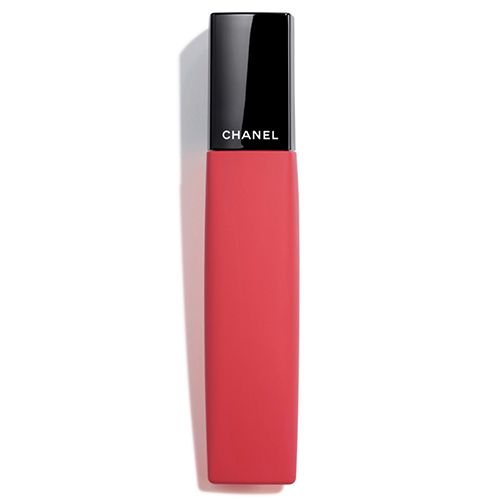 The satin formula gives a bit of sheen to the lips and I love the immediate color payoff. It’s a lightweight, one-swipe affair with this one." What are your thoughts on red lipstick if one has thin lips? I have always believed that a bold red lip looks better on full lips. 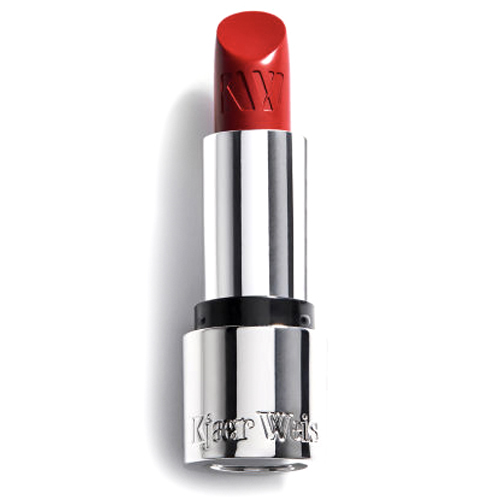 Sarah’s three red lipstick selections — Kjaer Weis, Kosas, and RMS — are definitely clean. 🙂 However, not all of our editors’ picks are — just a few of their favorites. It would be helpful to add some applying tips as well Here. 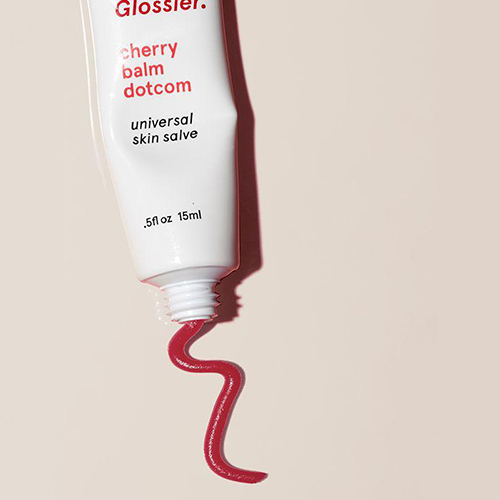 Red lipstick application trends can be pulled off successfully or unsuccessfully (Ie./ how to get that powdery just bitten stain I see on all the Korean beauty blogs…and pull it off at 38..?) and not all reds are swipe and go.